This 18th century Irishman became one of the founders of the Disciples of Christ and the Church of Christ. "Baptism is not washing with water: but it is the baptism of the Spirit, the confession of the mouth, and the washing with water." When he was exiled to Amsterdam from his native England, John Smyth gathered three dozen of his followers around him. The former Anglican preacher and Cambridge fellow recited a confession of faith; then he baptized himself. The brazen act scandalized even those who, with Smyth, despised England's state church. Amsterdam Separatist Richard Bernard nicknamed him a "Se-Baptist" (self-baptizer). Though Smyth's followers preferred the term "Christians Baptized on Profession of Their Faith," the shorter, derogatory "se-baptist," later shortened again to "Baptist," stuck. Though his early years are lost to history, Smyth was born in a time when the Reformation seemed to be grinding to a halt—Luther's death, the Counter-Reformation Council of Trent, and England's break with Rome occurred a mere decade or so before his birth. Smyth studied for the Anglican priesthood at Christ's College, Cambridge, but found himself increasingly frustrated with the church—not only of Rome, but of Luther, Calvin, Zwingli, and especially his own Church of England. A mere six years after becoming a city preacher at Lincoln in 1600, he renounced Anglicanism altogether. After a few years of practicing medicine, Smyth joined a group of like-minded Separatists who wanted to create a church of believers unbound by parochial or diocesan boundaries. Together they would "walk in all his [Christ's] ways, make known or to be made known among them ... whatever it might cost them." What it cost them was their homeland. When James I ascended the throne in 1603, he began persecuting the Separatists. "I will make them conform themselves," he swore, "or I will have them out of the land." Smyth's group of 50 or so fled to Amsterdam, which was known for its religious toleration and its already-sizable community of Separatist exiles. Still, Smyth did not see them as completely kindred spirits. He fought with them over the use of Scripture in worship (Smyth opposed using English translations), psalm singing, sermon reading, and the collection of offerings—all practices he condemned. Smyth, who wanted to create a church like the one described in the Book of Acts, also fought against any attempts to create a hierarchy. 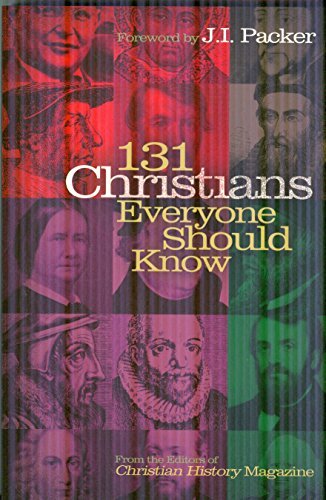 Each congregation, not the congregation's officers, was the highest authority next to God, he wrote in his 1607 Principles and Inferences Concerning the Visible Church. The Bible, he believed, only allowed for bishops (also called elders) and deacons—and even they would be subject to the laity. The following year, he continued publishing his disagreements with the Separatists in The Differences of the Churches of the Separation. Smyth's Amsterdam was also home to many Anabaptist Mennonites, who had for two generations practiced adult baptism based on a personal confession of faith. On this issue, Smyth finally broke with the Separatists. If the Church of England was, as he believed, "the Church of Antichrist," its baptism must be false. In fact, he wrote in The Character of the Beast (1609), the baptisms of all established churches were false. And the New Testament never even mentioned infant baptism—only the baptism of believing adults. "Baptism is not washing with water," he wrote, "but it is the baptism of the Spirit, the confession of the mouth, and the washing with water: how then can any man without great folly wash with water which is the least and last of baptism?" So, believing that there was no true church from which a valid baptism could be obtained, Smyth baptized himself. "There is good warrant for a man churching himself," he justified. "For two men singly are no church; so may two men put baptism upon themselves." He then baptized 36 others, including Thomas Helwys, who would later return to England and establish the first permanent Baptist church there. The more Smyth conversed with the Mennonites, the more he liked them. And the more he became convinced that baptizing himself—like his ordination in the Anglican church and acceptance of Separatist teachings—had been a mistake. "We are inconstant in error," he wrote. Eventually, Smyth applied for membership with the Mennonites. Helwys, who agreed with Smyth on nearly every point but could not accept Mennonite teachings on Christ and ministerial succession, recommended to the church that Smyth, then in bad health, be excommunicated. In 1611 they agreed. Smyth continued to defend his membership with the Mennonites up to his death in 1612. But to this day, it is not as a Mennonite that he is remembered, but as the first Baptist.